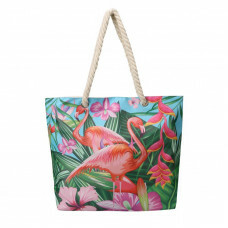 This flamingo print beach bag is made from durable canvas and imitation leather and features rope ha.. 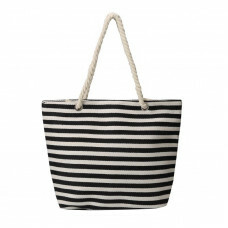 This black and white stripe beach bag is made from durable canvas and features rope handles. 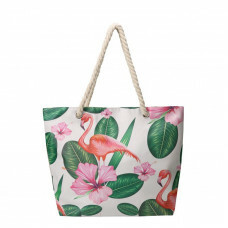 Fully l.. 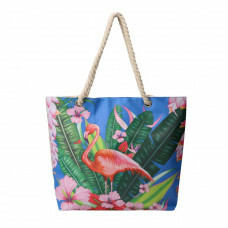 This spacious cosmetic bag features waterproof lining and the top can be fully unzipped for easy acc..